You Are Here: Home > Compare 2017 Ram 1500 vs 2500: What’s the Difference? Compare 2017 Ram 1500 vs 2500: What’s the Difference? Whether you need a powerful light-duty pickup or a hard working heavy-duty truck, RAM has you covered. Compare the 2017 RAM 1500 vs. 2017 RAM 2500 to find out which RAM truck has the performance and features you need for life in Poteet at Allways Atascosa Chrysler Dodge Jeep Ram. The RAM 1500 engine performance is boosted by TorqueFlite technology, an automatic transmission system with eight gear speeds. Select models come with an electronic rotary dial that’s used to shift gears. A six-speed manual transmission system or six-speed automatic transmission system can be installed in this powerful Ram truck. 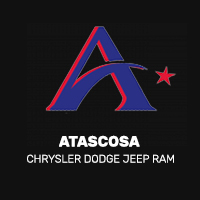 Test drive the RAM truck of your choice at today at Allways Atascosa Chrysler Dodge Jeep Ram. We offer a variety of affordable financing options at our Pleasanton finance center!